We invite you to visit Key West and take in some history and learn about people and places that have made Key West close to perfect, far from normal. Some of those people just happen to be a Nobel Prize-winning American writer, a treasure hunter and the 33rd President of the United States. Let’s find out what makes Hemingway Home and Museum, Truman Little White House and the Mel Fisher Maritime Museum a few of the must see attractions in Key West. Hemingway lived in this house from 1931 to 1939. What Hemingway Books Were Written in Key West? Hemingway would write in the second story writing studio that adjoins his home (now the museum at 907 Whitehead Street) and it was there that he worked on “Death in the Afternoon, “For Whom the Bell Tolls,” “The Snows of Kilimanjaro” and “The Short Happy Life of Francis Macomber.” Did you know Hemingway used Depression-era Key West as the locale for “To Have and Have Not,” his only novel set in the United States? Did you know swimming pool is one of the most interesting features of the home and it’s most likely because it was the first in-ground pool to be built in Key West in the 1930’s and it was a costly project. At that time, the construction costs for building a pool like this was about $20,000. The Hemingway pool was the only one within 100 miles and truly an architectural feat. We can’t talk about Ernest Hemingway in Key West without talking about the cats. We wonder if they are just as popular as the famous writer. Back to the cats - The Hemingway Home and Museum is home to 40-50 polydactyl cats. It all began with Snow White, a six-toed cat that was given to Ernest Hemingway by a ship's captain. Some of the cats who currently live on the museum grounds are descendants of Snow White and the polydactyl cats have full run over the residence and home. NOTE: All cats survived Hurricane Irma. Wondering where Hemingway drank? Well he spent a lot of time at Sloppy Joe’s Bar at the corner of Greene Street and Front. If Hemingway were alive today we think he might be heading over to Papa's Pilar Rum Distillery, Hemingway Rum Company. “Of everywhere he traveled in this world, Ernest Hemingway chose Key West to call home. It is here that we chose to craft the rum named in his honor, PAPA’S PILAR. 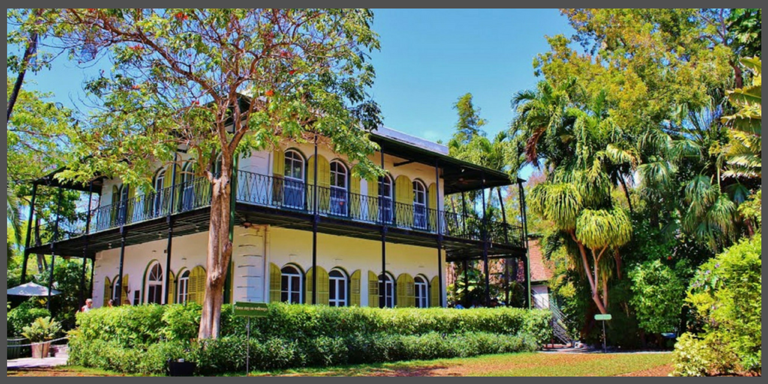 Visit Hemingway Home and Museum and after you tour the museum head over to Papa's’ Pilar at the corner of Simonton & Green Streets for rum tours and tastings in honor of Hemingway. Rates include a 30-minute guided tour. No reservations needed, Museum is open daily 365 days a year from 9 a.m.-5 p.m. The Harry S Truman Little White House in Key West, Florida was the “Winter White House” for the President between 1946 and 1952. He visited Key West a total of 175 days. 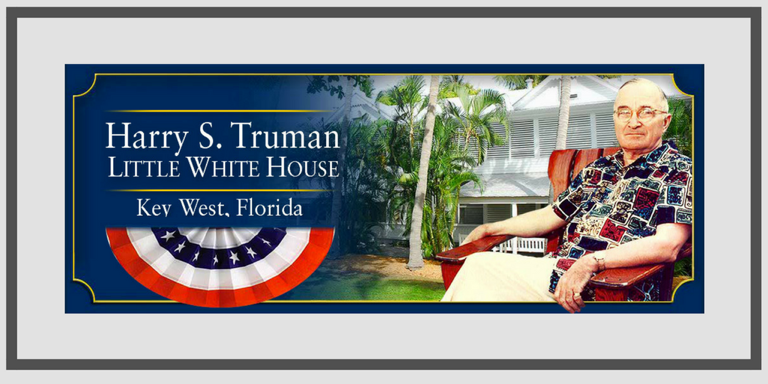 This is the place to go, see, experience and learn about President Harry Truman’s time in Key West. Step back in time and take a guided tour of the home featuring presidential artifacts and antique furniture from the 1950s and learn the “personal” of the Harry S. Truman Presidency. You’ll also get a glimpse into the politics of the Cold War and Naval History of Key West. Wondering what other Presidents and Cabinet members have visited the Truman Little White House? John F. Kennedy visited two times. First was in 1961 with Britain's Prime Minister Harold MacMillan and then he visited again on his own in Nov. 1962. Former President Jimmy Carter and his family visited in December 31, 1996 and again on December 29, 2007. There’s more! Learn about all the Presidential visits to the Truman Little White House. The Mel Fisher Maritime Museum is a not-for-profit research center and accredited museum founded by Mel Fisher and his colleagues as a permanent home for much of the collection recovered from the 16-year long search for the sunken Spanish galleon Nuestra Señora de Atocha and its sister ship Santa Margarita. The museum is filled with amazing treasures from those shipwrecks...there’s gold, silver and more! 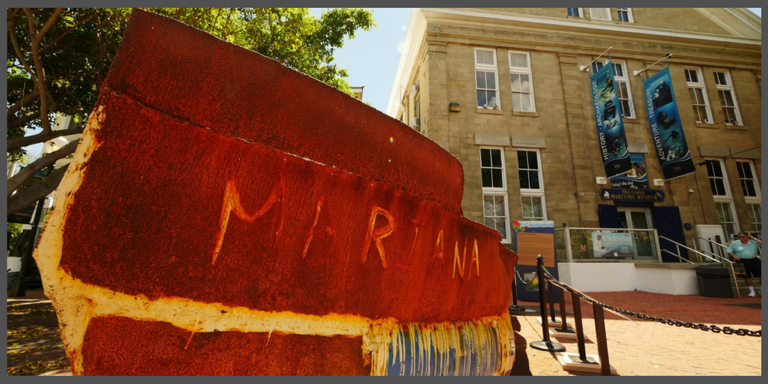 The Mel Fisher Maritime Museum is also an active research center, and is currently exploring many other shipwrecks and historical events beyond what Fisher had discovered. The organization has done research ranging from sunken slave ships, vessels from the earliest days of the colonial system, pirates, to Cuban refugee boats. The museum now offers one of the more interesting experiences available on the island – “behind the scenes” lab tours of their conservation laboratory, where ancient artifacts recovered from the seafloor are conserved, restored, and made ready for exhibition and further research. For anyone interested in history, archaeology, or plain old detective work, the laboratory tour gives a close-up view of how the museum staff works to unlock centuries-old underwater secrets. The organization is supported by admission fees (they do not sell artifacts from their collections), and when you tour the exhibits and laboratory, you help to move their research forward – a very good cause!